Estonia Subdivision is conveniently located close to Lackland Air Force Base, Sea World, Downtown San Antonio, Shopping, Dining and Entertainment. Students will attend that highly sought after Northside ISD Schools. "Well maintained one-story home located in the desirable Estonia Subdivision. Decorative doors, high ceilings and open floor plan. Updated wood laminate floors, fresh paint and a new microwave. All stainless steel appliances convey plus the washer and dryer! Solar panels installed with an average $50 /month electric bill. Google WiFi installed throughout. Large backyard with a privacy fence. Home shows like new, only one home owner. 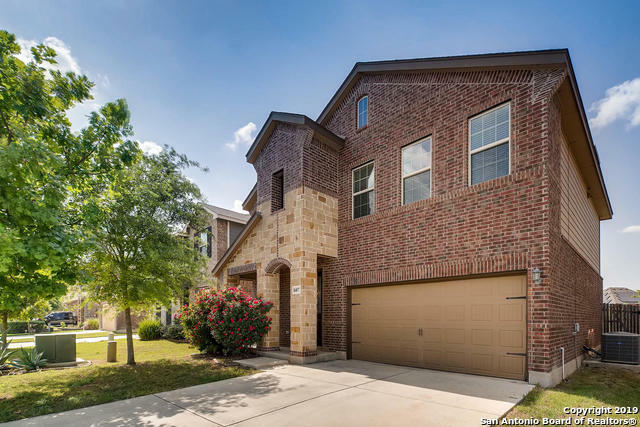 Ten minutes from Lackland, 5 minutes to NSA, new shopping and re"
"Stunning 2 Story Meritage Home in Popular Estonia, featuring tile throughout the first floor, granite counters in kitchen, separate dining area, study nook off the open living area, spacious game room on the second floor. Master suite features flex space perfect for study/work out space. Large covered patio off back yard." "Located in the beautiful neighborhood of Estonia, this 1 story home features 3 bedrooms, 2 full baths, w/ an office that can be used as a 4th bedroom! Open floor plan w/ formal dinning room, spacious kitchen w/ granite counter tops, Island, gas cooking, stainless steel appliances, backslash, built in speakers throughout, tray ceilings, crown molding, level backyard, extend cover patio w/ speakers, storage shed. Walking distance to Community pool, playground, pavilion, walking trails. Preview tod"
"Beautiful luxury home in highly desirable subdivision of Estonia. Fantastic curb appeal, corner lot, 4 spacious bedrooms, master downstairs, 3 full baths, upstairs bedrooms has jack and Jill bath, 2 large living areas, granite counter tops, covered back porch/patio 26 x 9. 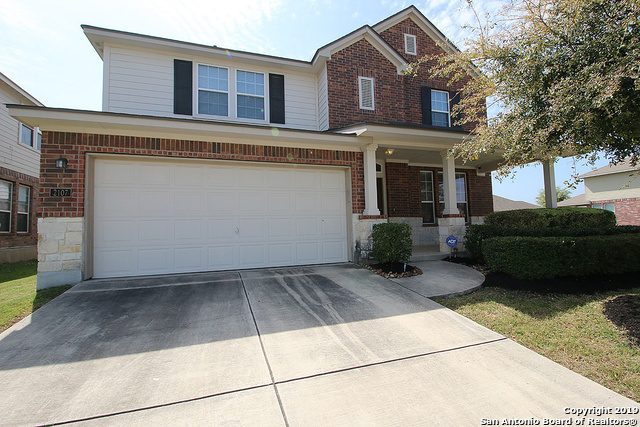 Location close to Lackland and Westover Hills. Won't last long. Priced to Sale."